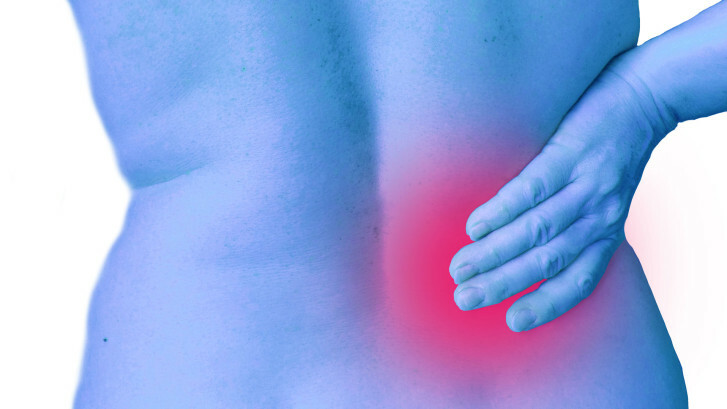 C1 Health Centre > Chiropractic > Can you sprain/strain your back muscles? I think this is rare – why? Well, this would appear right on the surface but with a bit of thought you’ll understand how rare it really is. Now, some of these injuries you’ll probably have experienced. But if you think what you were doing and what muscles you have sprain/strained this’ll give you an idea of the sort of forces you have to put through them to achieve this. Consider which muscles you’ve ever sprained or strained. It’ll be your calf or your thigh/glute or possibly a forearm or even a biceps. It’ll rarely be back muscle. This is because you need to put an impressive load of force through these structures to get them to rip apart. You are designed pretty well, so will take some remarkable loads before things start to fail. To get to these fail-levels of loading you need to use levers. This is why you can sprain/strain your calf more than anything else and your hamstrings get torn. 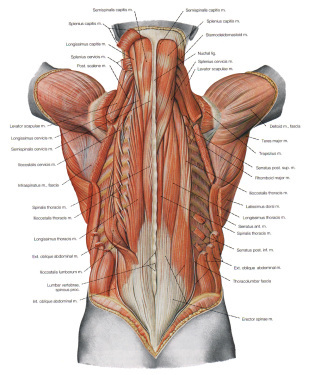 This is also why you don’t often get strained or sprained back muscles. The levers are just too short, the muscles and tendons too strong and the ranges of motion available to create the stress too small. The back, particularly in the rib area, is designed to be fairly stiff and to protect your soft bits inside. It can’t move far enough in any direction to really tear a muscle. A leg can and, as a result, can generate enough force to pull tissues apart but a mid-back rarely can. I’d strongly argue that the key here is that a “joint (is) out of its normal position” and that it has nothing to do with a muscles sprain and strain. Now, I have seen some genuine sprained back muscles. But these have been done by real athletes at the top of their games, so rowers and rugby players or by people involved in really serious physical trauma such as in a car shunt. And you should by now understand why, the force is great enough to damage the tissue over the short distance they move. But the force has to be massive and it is unlikely you have achieved this sitting at your desk, going swimming or cycling to work. Still, whatever it is, a good diagnosis is important followed by and some excellent care. We can provide both. So, give us a call or use our online booking form and let’s help you tackle the problem. Hi my name is Ryan Dorosheff and I am a high school soccer player and have been having some back problems lately. Now I red you blog and It said give us a call if you had any questions but i couldn’t find your number. If you could please give me a call at 217 899 4246 that would be greatly appreciated. Ryan, do give us a call on 0117 922 1542 and let’s see if we can’t guide you a bit on what you are doing. Who’s looking after you at present?